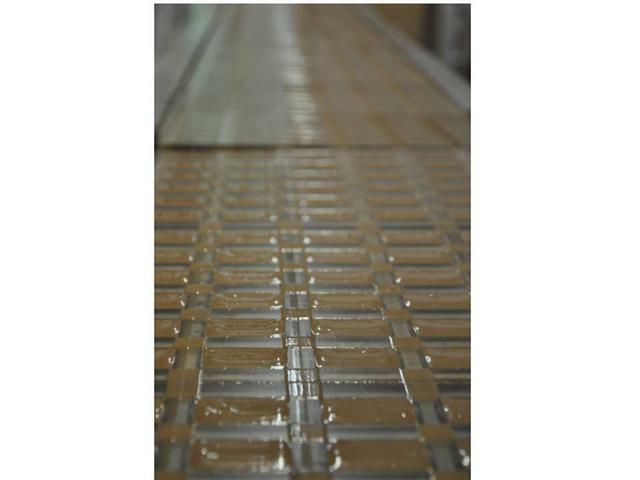 The entire production is located in Olimje, where we make all sorts of chocolate products. 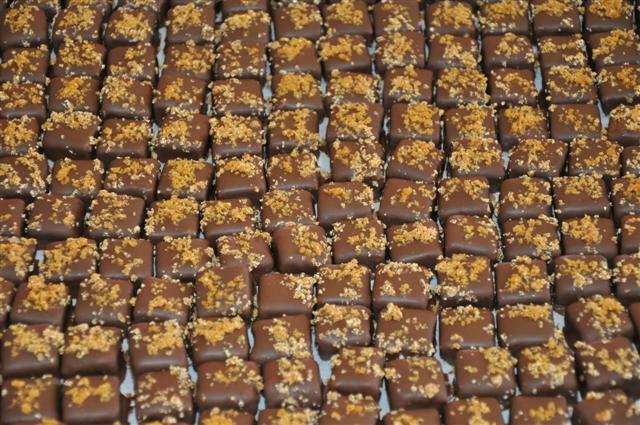 Work is done by hand, and each product – chocolate bar, praline, truffle, griotte, chocolate coated fruit, or dragee – is handled at least four times. 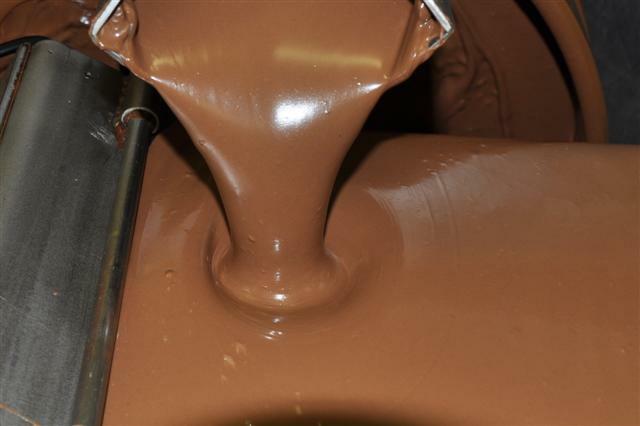 First, when the chocolate is poured. Second, when the chocolate hardens and we insert the kernel. Third, when the chocolate is closed, and fourth, when we decorate it. Work with chocolate is very demanding and requires exceptional patience to achieve the final product. 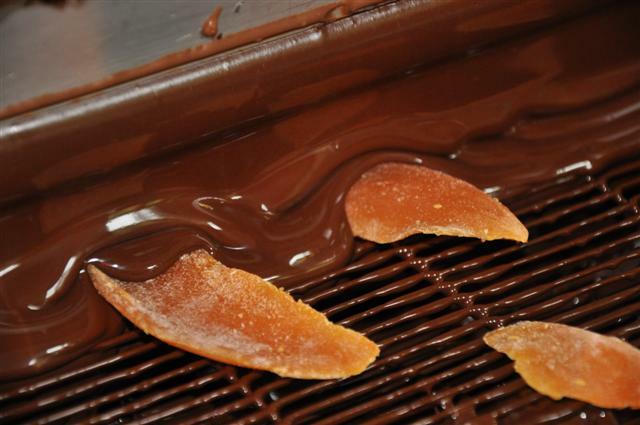 In our production, we use cocoa butter as fat for our chocolates. We do not use regular butter, vegetable fat, or any substitutes. Therefore, our products have at least a five month expiration date. 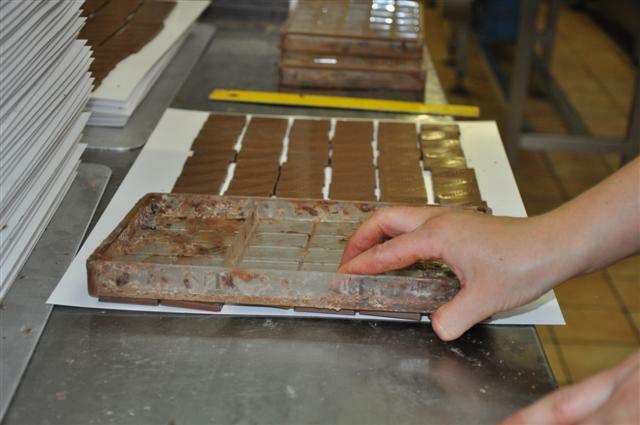 When eating our chocolate, you can feel that it is made exclusively from proper chocolate ingredients.